Designed to render the most accurate color possible, the Area 48 Soft LED Fixture for Remote Phosphor Panels from BB&S is a unique LED light source that separates the phosphor, which is normally integrated into the LED, from the Area 48's array. 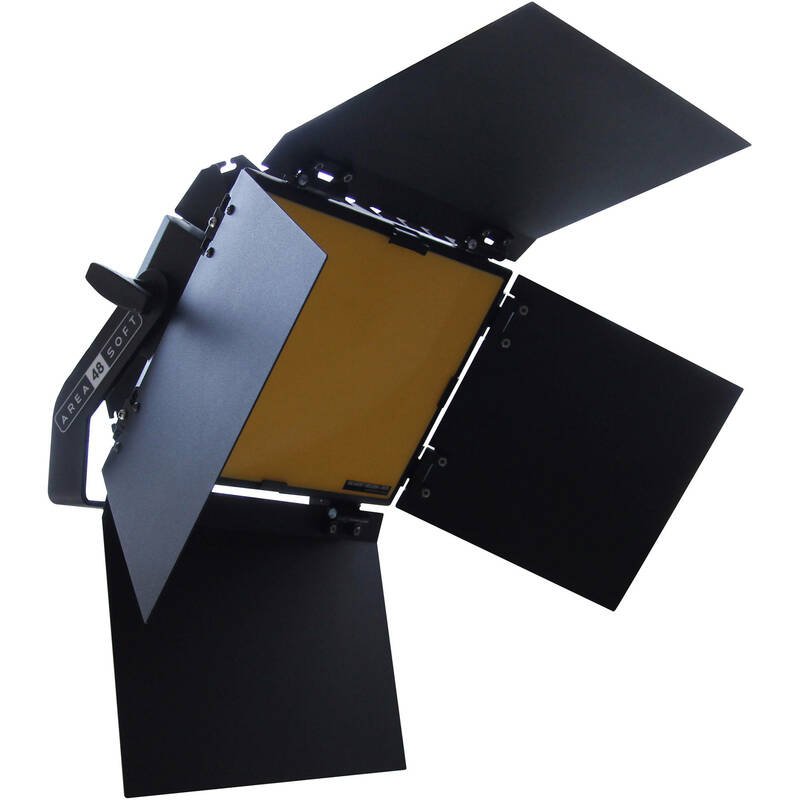 Instead, a phosphor panel with the desired color temperature is inserted into the light's accessory channel. The benefit is a higher degree of color accuracy than that of phosphor-incorporated lights as exhibited by the Area 48's as well as a very high TLCI rating of 98 for all but the chroma panels. This version of the light ships with a chroma blue panel but there are also optional 2700K, 3200K, 4300K, 5600K, and 6500K panels as well as chroma green. The Area 48 also has a strobing mode for visual effects. Built with the professional user in mind, the Area 48 is dimmable from 3-100% locally on the fixture, or remotely via 16-bit, 4-channel DMX. The light has a low-heat output that's equivalent to a 1200W tungsten flood light while consuming only 122W which translates to low operating costs and a fast return on investment. The included 100-240 VAC power supply allows worldwide use, but optional V-mount and Gold mount battery plates offer independence from mains power, an essential feature for the location shooter. Box Dimensions (LxWxH) 17.2 x 14.3 x 8.7"